Lisa, thanks for the email. 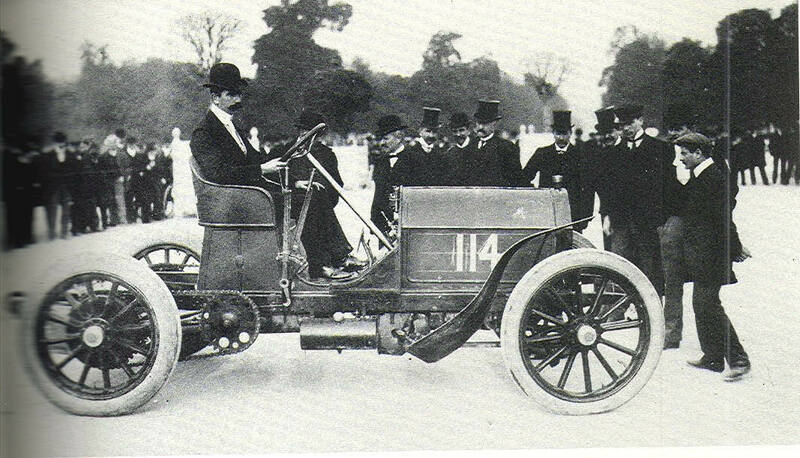 William Luttgen participated in four Vanderbilt Cup Races, three as a driver (1904, 1906, and 1908) and one as a mechanician (1905). 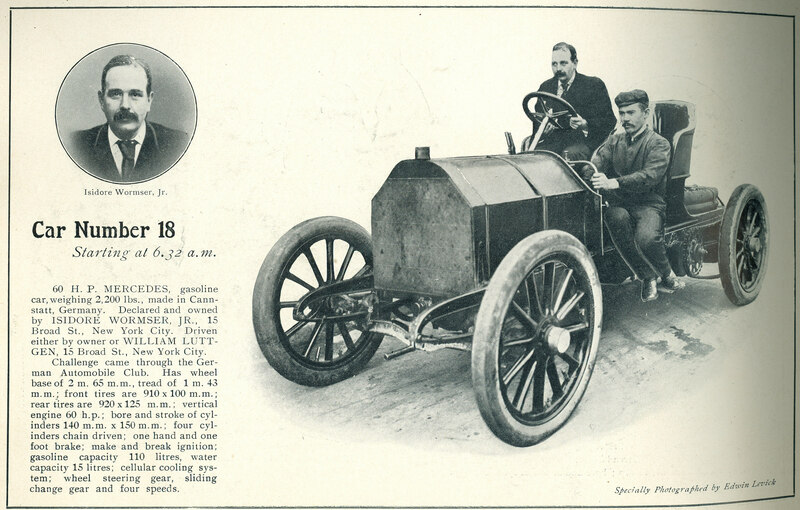 According to the magazine Antique Automobile, when he died at the age of 88 in 1965, he was “the last living participant in the first Vanderbilt Cup Race”. Here is a profile of William Luttgen written with additonal information provided by you and the Luttgen family. William Luttgen was born in 1877 in Ludwigsburg, Germany, just north of Stuttgart. His mother was poor and had to place William and his brother Karl in an orphanage. When the automobile was in its infancy, he became a mechanic and worked for Gottlieb Daimler whose company Daimler Motoren Gesellschaft (DMG) became selling cars in Stuttgart in the 1890s. Luttgen’s job was to deliver Mercedes to wealthy new buyers and teach their hired chauffeur and mechanics how to care for the new cars. Keene and Luttgen’s were very lucky that their Mercedes broke down early in the Paris-Madrid race. Known as “The Race to Death”, at least six people lost their lives in this infamous race including Marcel Renault. 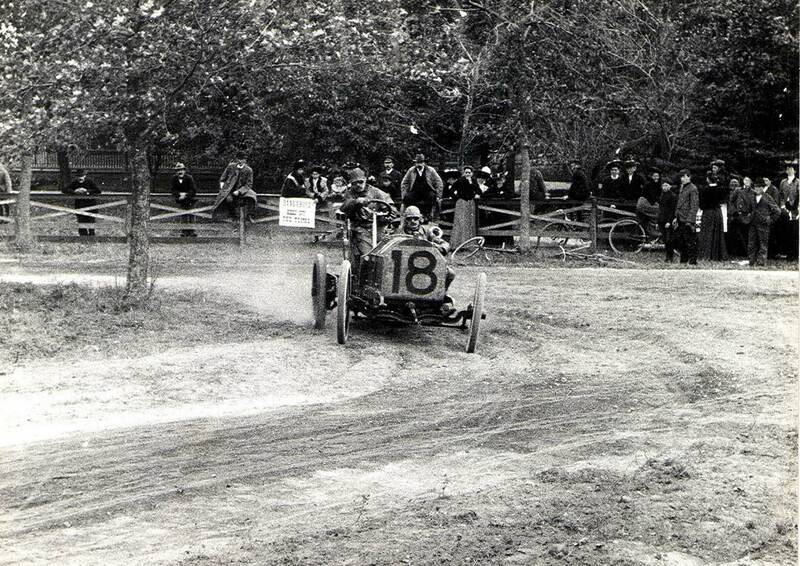 William Luttgen got his big opportunity to become a driver at the first Vanderbilt Cup Race held on October 8, 1904 on the public roads of Long Island. 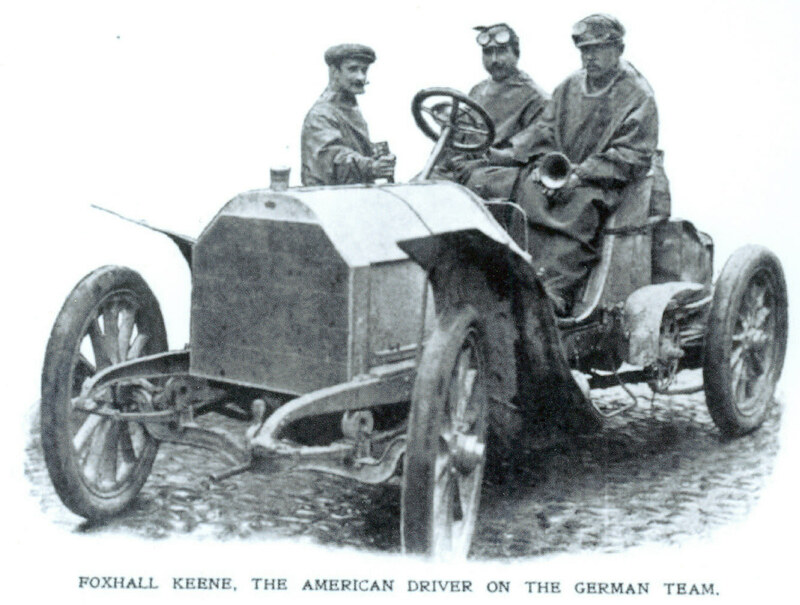 Likely receiving a recommendation from Foxhall Keene, American banker Isidore Wormser hired Luttgen to drive his #18 60-HP Mercedes in the first international road race ever held in the United States. Luttgen and his unhappy mechanician can be seen speeding through the Massapequa Turn at the one-minute six-second segment of the American Mutoscope and Biograph film of the 1904 race. Banker’s Racer, Policeman Said, Was Going Thirty Miles an Hour. Jamaica, N.Y., Oct. 6. - Chauffeur William Luttgen, who is in the employ of Isidor Wormser, Jr., one of the entrants for Saturday’s automobile race over Nassau County roads was arrested here this afternoon for overspeeding. Luttgen is an expert chauffeur. In a huge racing car with a large white perforated front, upon which the number 18 had been painted in figures 18 inches high, Luttgen and a machinist had been over the course and were returning to the city. Even if it be proved that No. 18 exceeded the speed limit, it will not be barred out of Saturday’s race, it is said, as the owner was not in it, and as the machine was not on the race course. Thanks so much for the New York Times article. 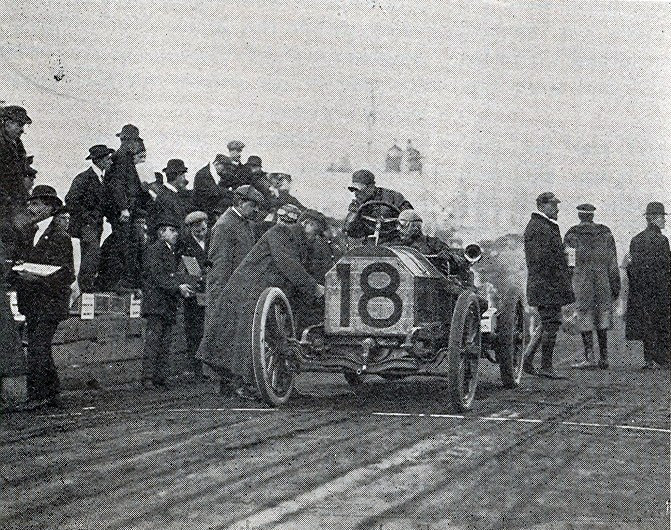 The speeding incident happened one day before William Luttgen drove in the 1904 Vanderbilt Cup Race.